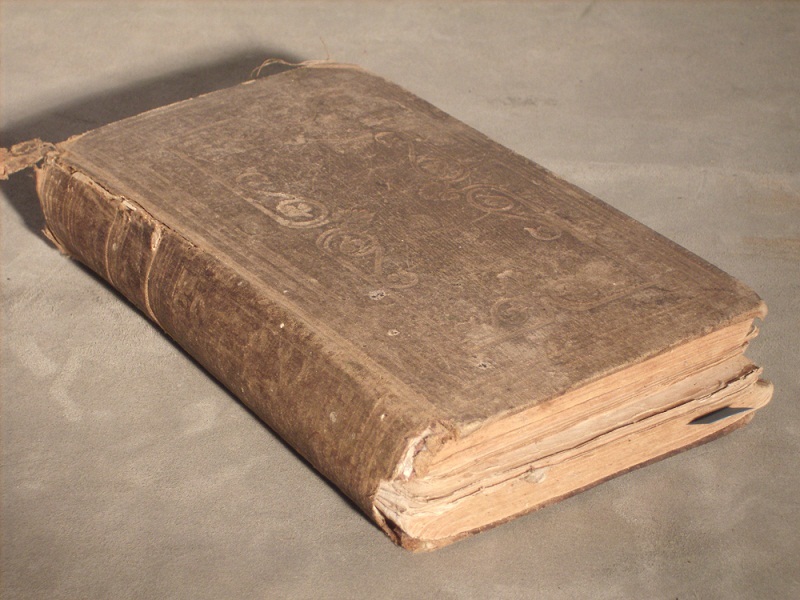 I’ve just acquired this valuable antiquarian book … but it’s falling apart! 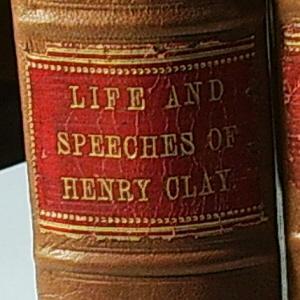 Can you restore a rare book that would be valuable if it were in better condition? 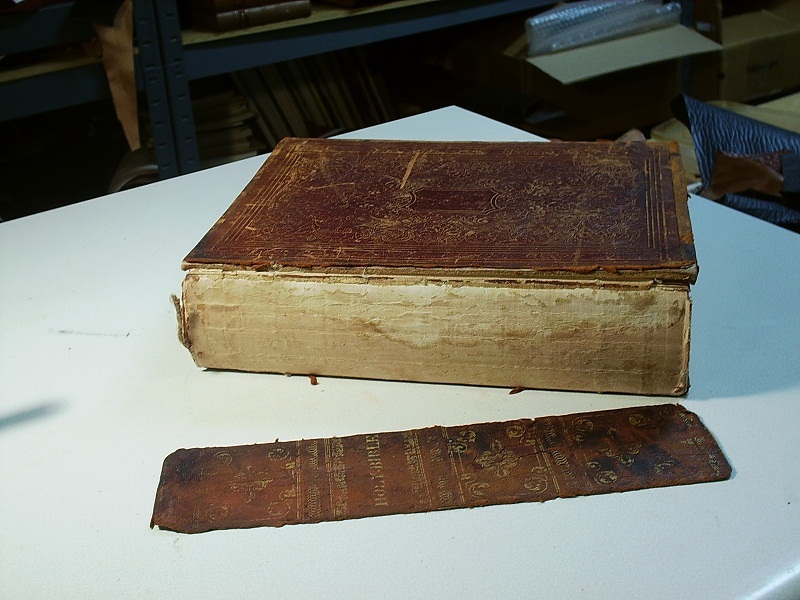 We do restoration work on books worth several thousand dollars, but any responsible restoration work takes caution. *Do any work that would detract from the value of a book. 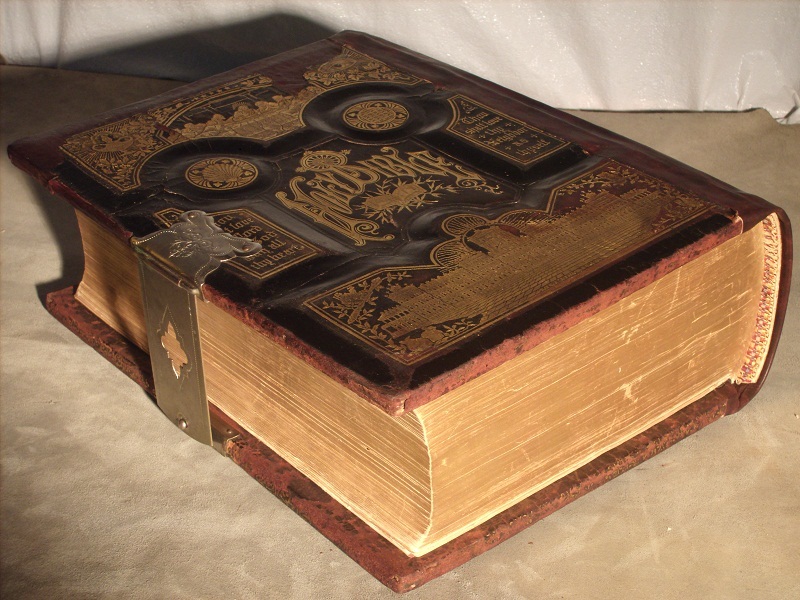 *Do anything that would alter the specific markings of a rare book to increase or decrease its value. *Begin a job without first evaluating it. Send pictures, or you may want to send the book itself. 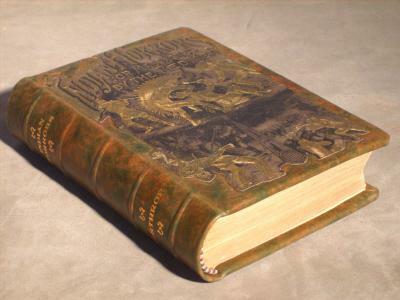 We will give you an honest appraisal of whether or not we believe it would be worthwhile to restore or rebind your book, and an estimate of the cost. Conditioning old leather (that is not dry-rotted). 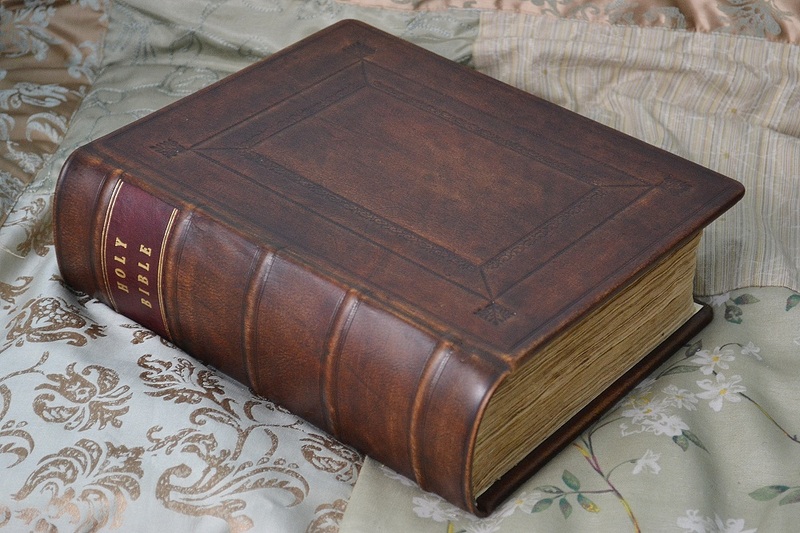 If the leather on your book is rubbing off in your lap or hands, there is little that can be done to restore it. There are chemical solutions that can be applied to harden things, but binding experts still disagree on the usefulness of these treatments and the long-term effects. However, for restorable leather, we can condition, and often touch up the dye as well, to bring back the beauty of the original binding. Document tape is an easy and safe way to repair tears. This very thin tissue tape is acid-free and virtually disappears when applied correctly. It has an acrylic adhesive, is permanent, and does not yellow with age. When there is a piece of a page margin missing, we can mount a new piece to replace what is missing. 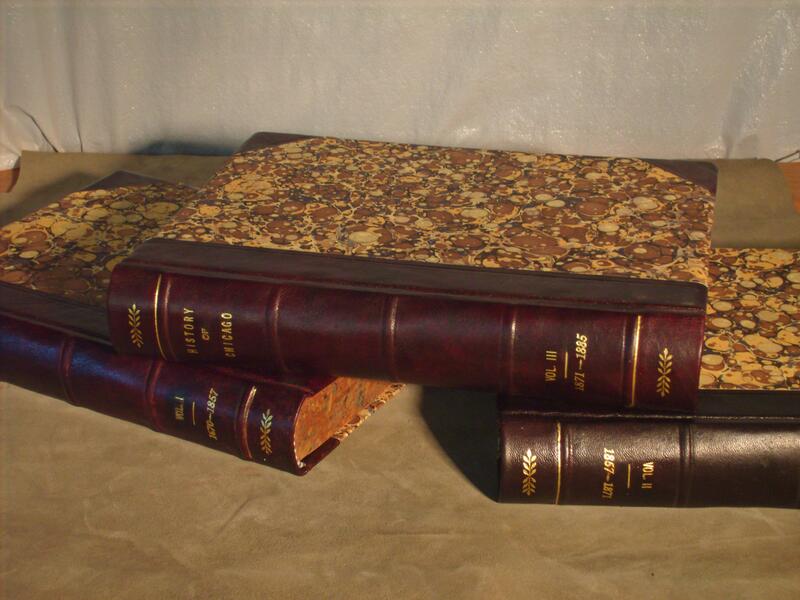 We use old paper salvaged from other discarded books, or new hand-milled paper if necessary. Results of piece replacement can vary. Exact matches are a rarity. When the old hemp cords have broken, and the leather is weak from age, the boards will not stay intact. We can insert new hemp cords under the old and into the boards. We can also lay a flat cotton cord color matched to the leather, to partially hide the break. This process gives the new hinge good strength, while making the book once again shelf presentable. There are a few things we can do to remove coal dust and general soil from pages. We do not wash pages. This is a process that is very expensive and only works on quality paper. 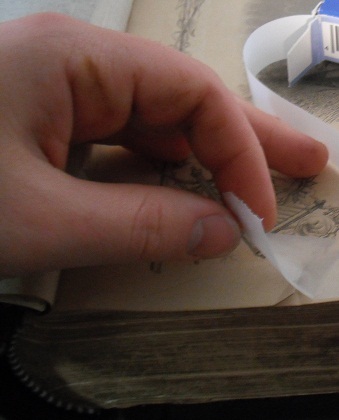 It also requires removing pages from the sewing. Washing using bleach water to remove foxing and water stains is not recommended due to the long-term effects. We do not provide de-acidification at this time. In some cases, we can clean, re-dye, and re-starch old cloth. In this process, there is usually a need to lay new color-matched cloth under the old. Again, results vary depending upon what type of soil or stains we are trying to remove, as well as the texture and color of the binding material. When rebinding is the only option. . .
We do our best to stay within the limits of the particular binding period when creating a new cover. However, during the process, we avoid using hide glues or any harsh materials that might adversely affect the leather, the sewing, or the paper. 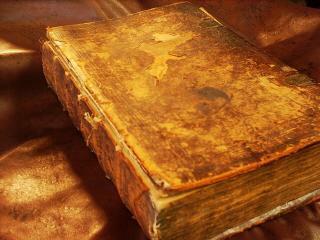 While we appreciate the antiquity of the old binding technology, we recognize that older is not always better. 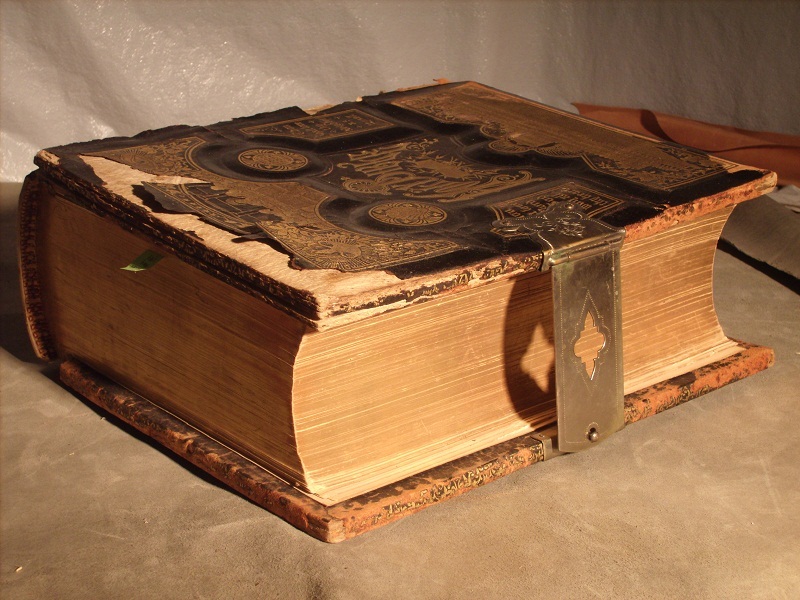 The use of the old binding methods is often the reason why the book is in need of rebinding. We prefer to use a binding method that allows the spine leather to be loose from the binding instead of having it pasted down onto the spine and creating a potential for creases in the leather. And we use a woven rayon for the mull (hinge cloth), in place of the hemp cords. 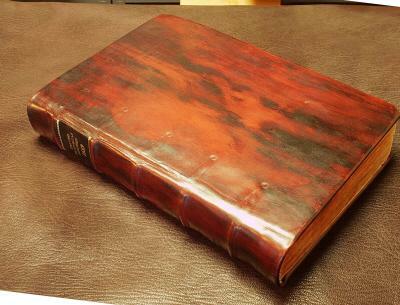 We recommend that you contact a rare collections department at your nearest university library. They should be able to provide you with someone who is specifically skilled in that area. For more options, also see our book repair page. Many of these techniques overlap. Contact us if you need references or have questions about our services. Or better yet, see what others are saying about our work.